Sanjay is a Co-founder & Managing Partner at Blume Ventures (www.blumeventures.com). Blume has emerged as one of India's leading early-stage funds, having invested in over 50 startups since its inception in late 2010. Blume's portfolio includes Taxiforsure (acquired by Olacabs), Zipdial (acquired by Twitter), Qubecell (acquired by Boku), Grey Orange Pte Lte, Mettl, Webengage, Hotelogix, Exotel, Rolocule Games, and Carbon Clean Solutions, amongst others. Many of Blume’s portfolio companies have secured follow-on financing from top tier global VCs including Tiger Global, Accel, Matrix, Bessemer, Cisco Ventures, to name a few. 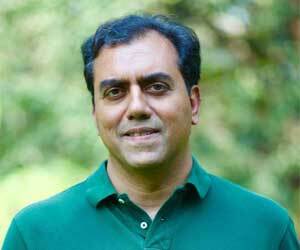 Prior to Blume, Sanjay was also an active angel investor through Mumbai Angels. His angel investments include Inmobi, Appsdaily (formerly Onward Mobility), Little Eye Labs (acquired by Facebook), Tonbo Imaging and Svasti amongst others. Sanjay’s experience spans the US and India, and ranges from management consulting (PwC and IBM Global Services), product marketing and operations (Sun Microsystems) and angel investing (thru Mumbai Angels). Most recently, prior to founding Blume, he co founded Loxodrome, a legal outsourcing company with dual-shore operations in San Francisco and Pune, India. Early in his career, Sanjay supported the growth of Kanbay (Nasdaq IPO in ’04), then acquired by Cap Gemini for $1.25BL in ‘06. Sanjay has earned an MBA from UCLA’s Anderson Graduate School of Management and also holds an undergraduate major in Information Systems from BITS, Pilani.